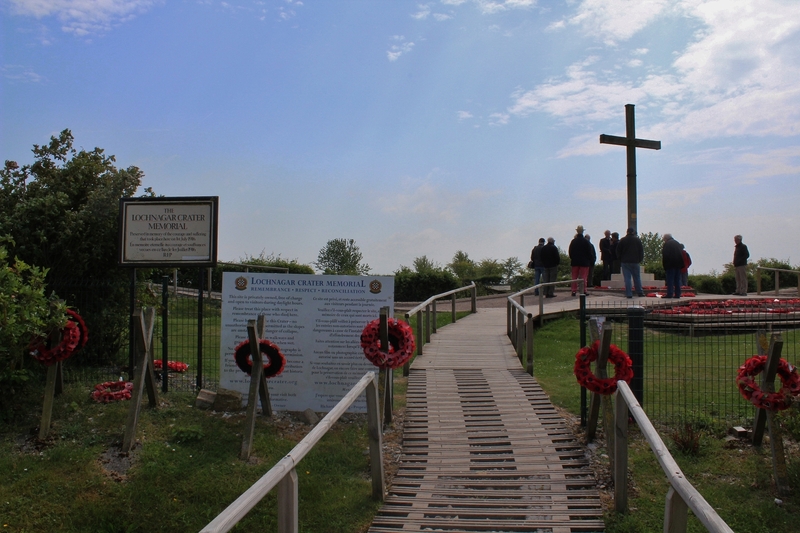 …and presently find ourselves at the famous, or infamous, if you prefer, Lochnagar Crater. We shall wander, wonderingly, around it although photographs, I’m afraid, give no real sense of its immensity. If you’ve ever wondered how the crater got its name, this trench map has the answer. The position of the mine is marked in green, and the name of the nearest British communication trench is Lochnagar Street, named as such when the 51st Highland Division took over this sector from the French in 1915. 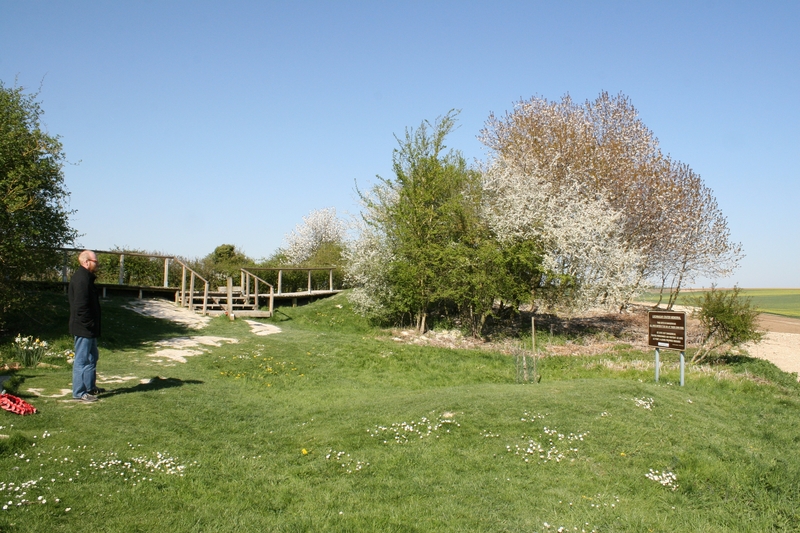 It was from somewhere along this trench that the tunnel leading to the mine was begun, eventually reaching a length of just over 1000 feet, the longest British tunnel through chalk of the entire war. The statistics are scary if you’re claustrophobic; the tunnel was approximately four foot six inches by two foot six inches, and, begun in 1915, it advanced at a rate of eighteen inches per day. Really! 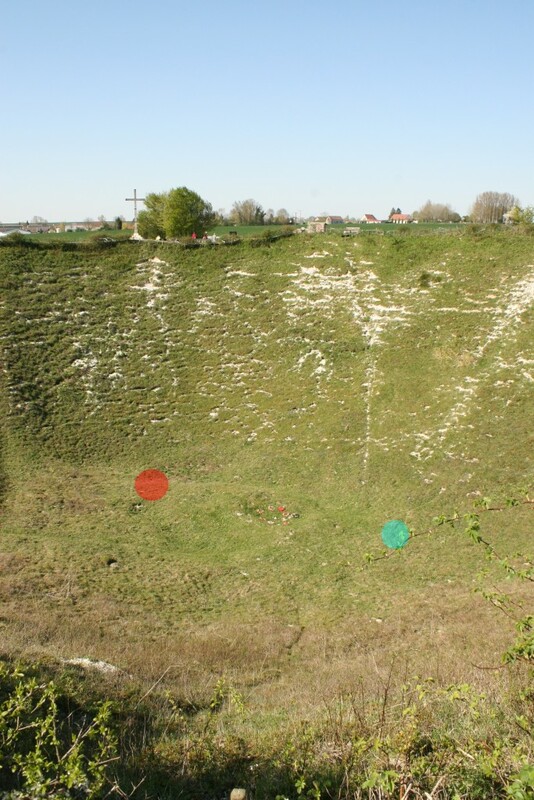 Nearing the German lines, the tunnellers split the tunnel in two, enabling them to pack two charges, the larger (in red) of 36,000 lbs, and the smaller (in blue) of 24,000 lbs, of ammonal beneath the German positions. 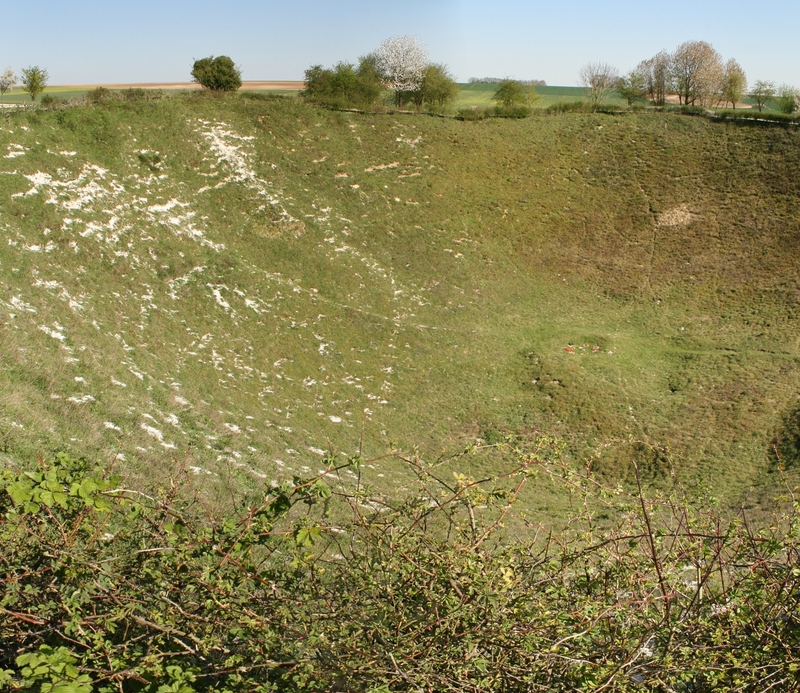 When the mine blew, as Cecil Lewis recounts, the debris rose some 4000 feet into the air, the explosion creating a crater 300 feet across and 70 feet deep, with a lip fifteen feet high, obliterating four hundred feet of German trenches and dugouts and the men within. The exact number of German casualties will never be known, but there is no doubt that the Lochnagar Crater is a mass grave. 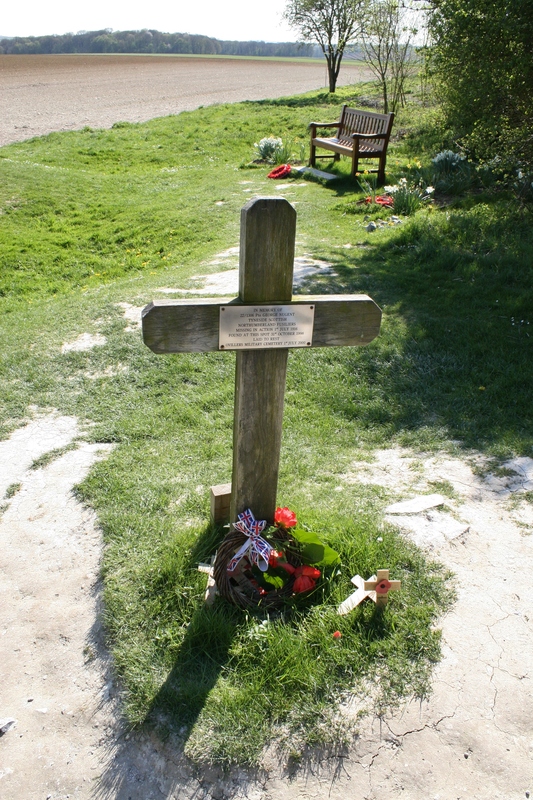 Cross in memory of Private George Nugent, Tyneside Scottish, missing in action on 1st July 1916, and discovered on this very spot near the edge of the crater, some way to the east of the main Tyneside Scottish attack, in 1998. The British front line crossed the picture in the background, roughly where the ploughed field in the foreground meets the green field beyond. Bench dedicated to the memory of the men of the Grimsby Chums who attacked here on 1st July 1916. More about them in a minute. 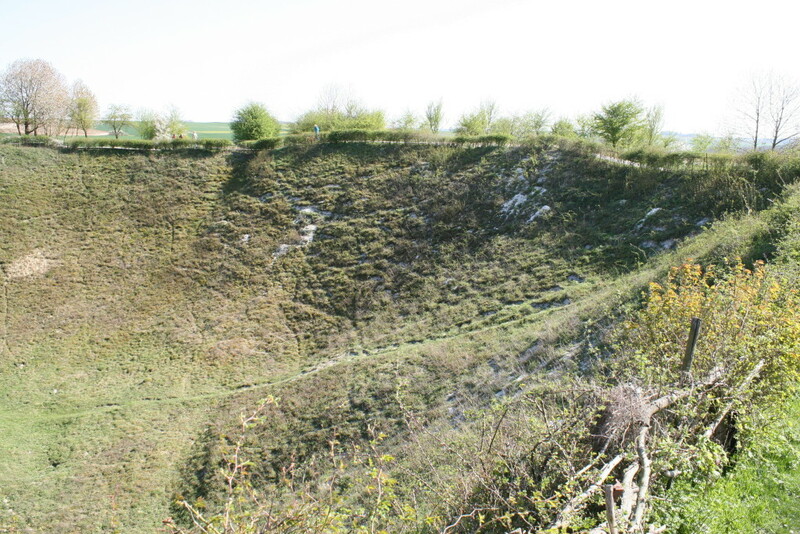 Baldrick, deep in contemplation amidst the numerous small craters that still surround Lochnagar despite the encroaching fields. He asked me where the spoil from the explosion had gone. And the fifteen foot lip that remained. I replied “Look around you”. 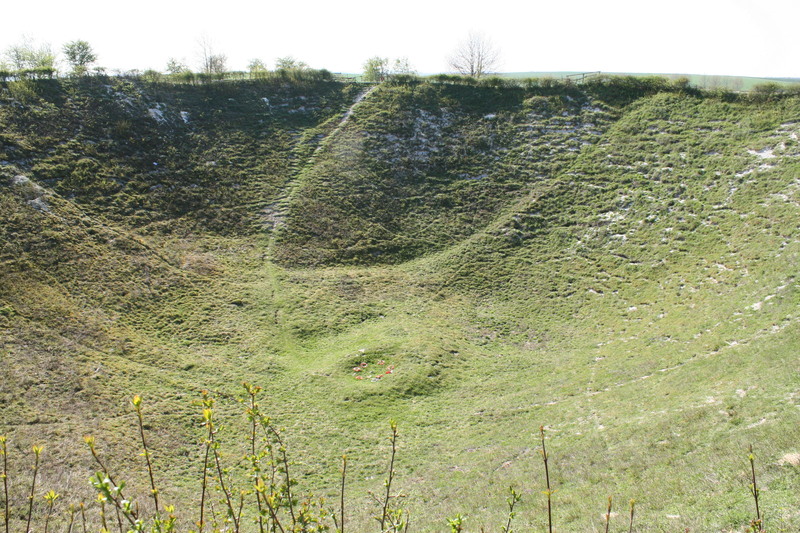 All round the crater the soil is still, a hundred years on, white with chalk that once lay deep beneath the earth. 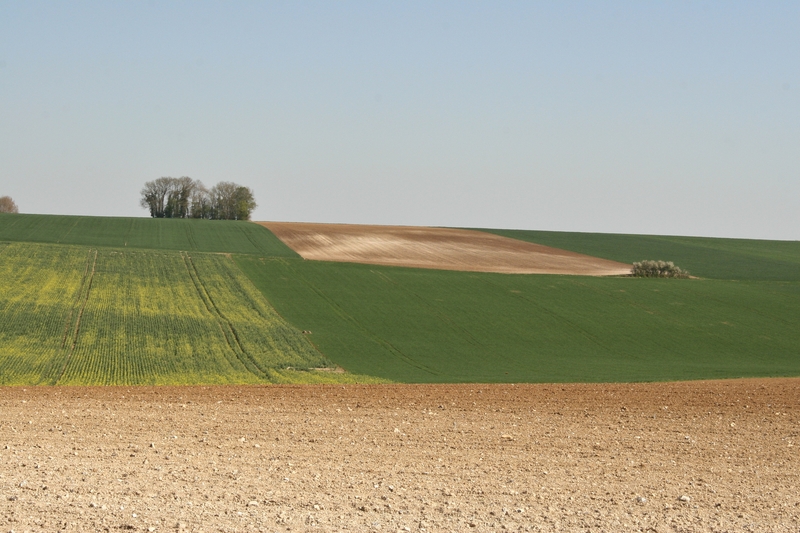 And half way across the field the soil returns to its natural colour. 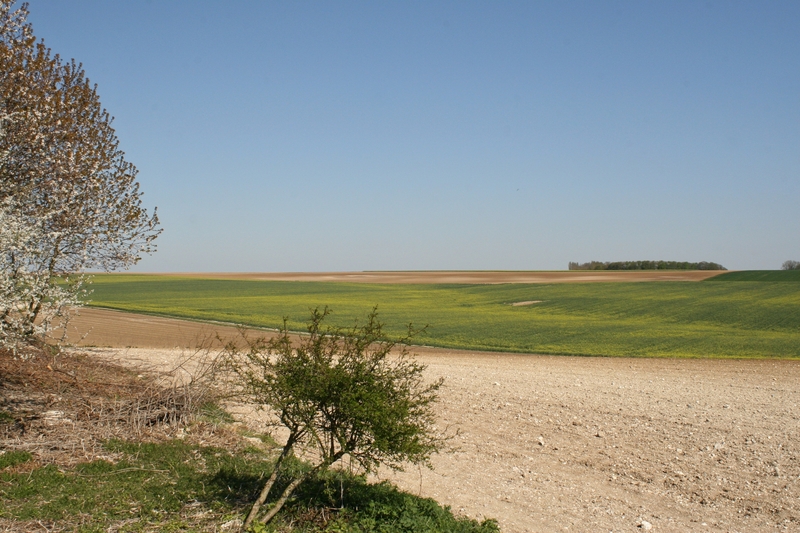 The dip running across the picture beyond the first field was known as Sausage Valley (see trench map again), and it was across these fields that men of the Lincolnshire Regiment (the Grimsby Chums), supported by the Suffolks, advanced from right to left on the morning of 1st July. It was a catastrophic failure, the two battalions losing more than 1000 men between them. While we’re here, take a closer look at the ploughed field in the middle distance. The evidence of trenches is clear, and being south of the road, my guess is that they are most probably British. 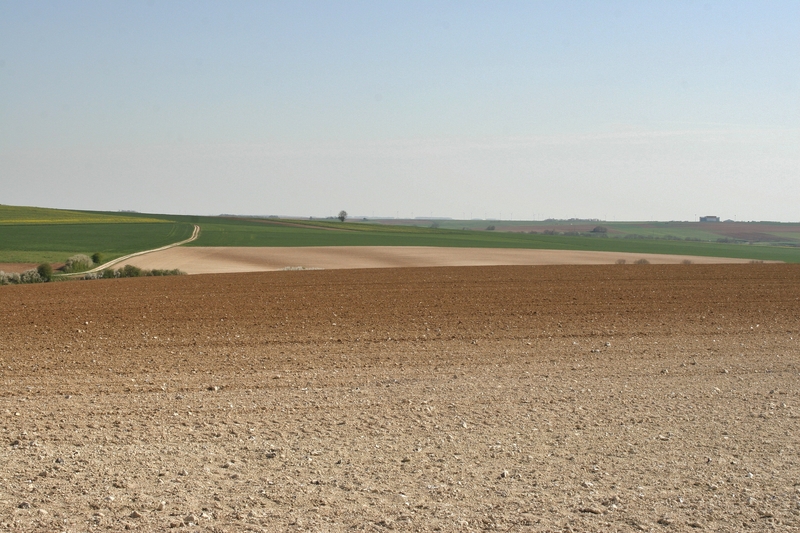 It was certainly across these fields that the Royal Scots, on the right flank of the Lincolns, began their advance. 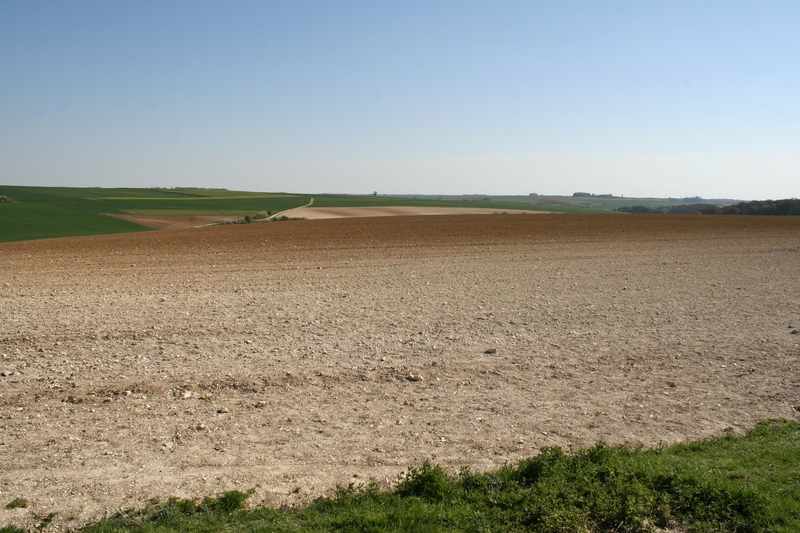 Whereas the marks visible in this field, looking down on us from the far side of the valley and with a perfect field of fire, are German. 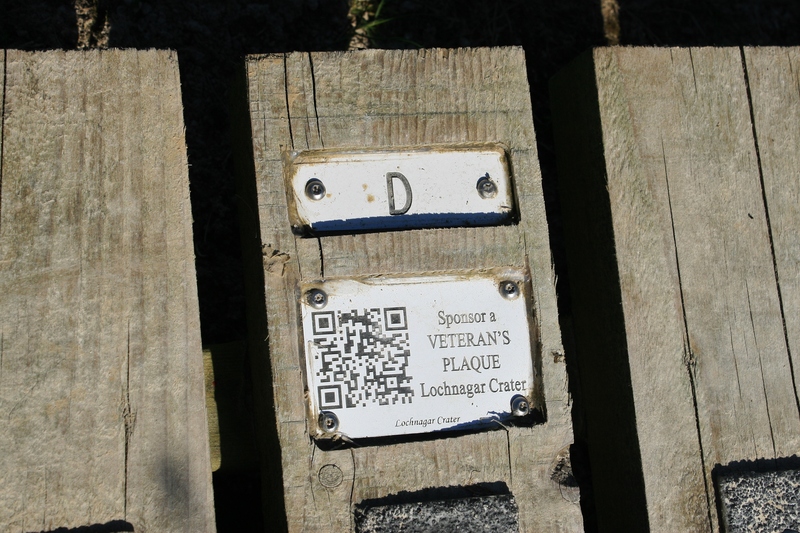 More than that, I think they are likely to be evidence of the German strongpoint known as Heligoland (Sausage Redoubt), and it was from here that machine guns exacted a terrible toll on the attacking troops. 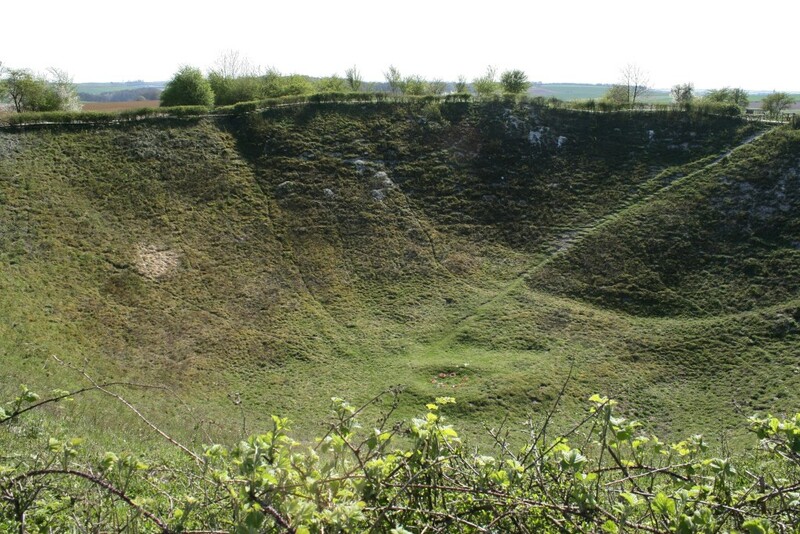 I read a dreadful story about some men of the Suffolks who managed to fight their way to the parapet of Sausage Redoubt, only to meet a terrible death at the fiery mouths of German flamethrowers once they reached it. 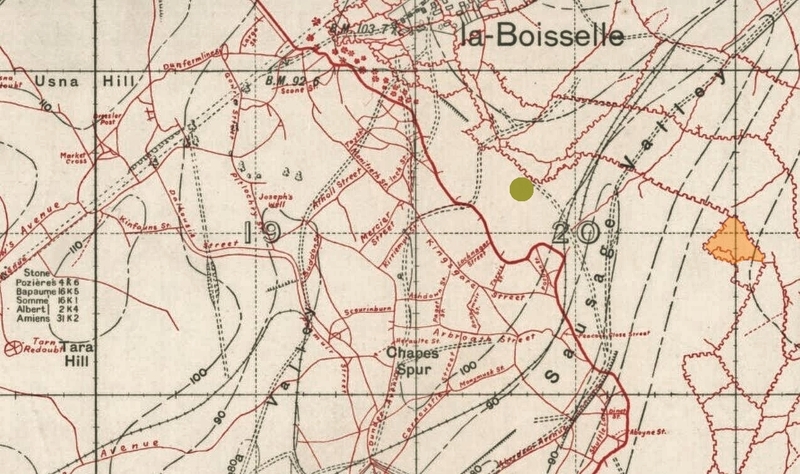 The Heligoland position, marked in orange on the map below, totally dominated Sausage Valley, and by mid-morning on 1st July these fields were strewn with British dead. On an academic note, the use of flamethrowers as defensive weapons is a new one on me. I have always thought of them as purely offensive weapons. The more you look, the more evidence you see. The marks in the far field to the north trace the lines of Jäger Street, the German second line trench system. 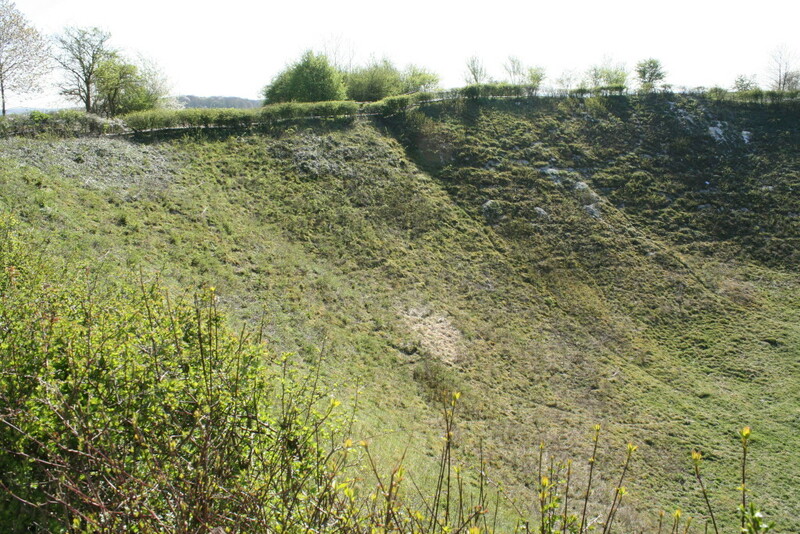 Back to the crater. It has been said that when the mine exploded, the force through the ground was enough to break the legs of British soldiers braced against the walls of trenches 250 yards away; the Germans who survived maintained that debris continued to fall for a full minute after the detonation. I have no reason to doubt either account. The Lochnagar crater is privately owned by Richard Dunning, who bought it in 1978. On the 1st July 1978, in actual fact. 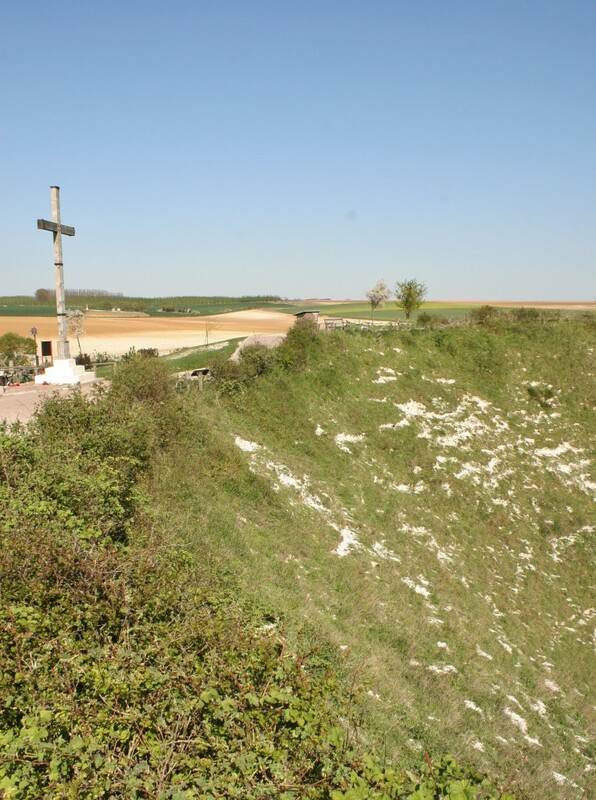 The whys and wherefores are all on the fine official Lochnagar Crater website, and all I shall add here is thank heavens he did! 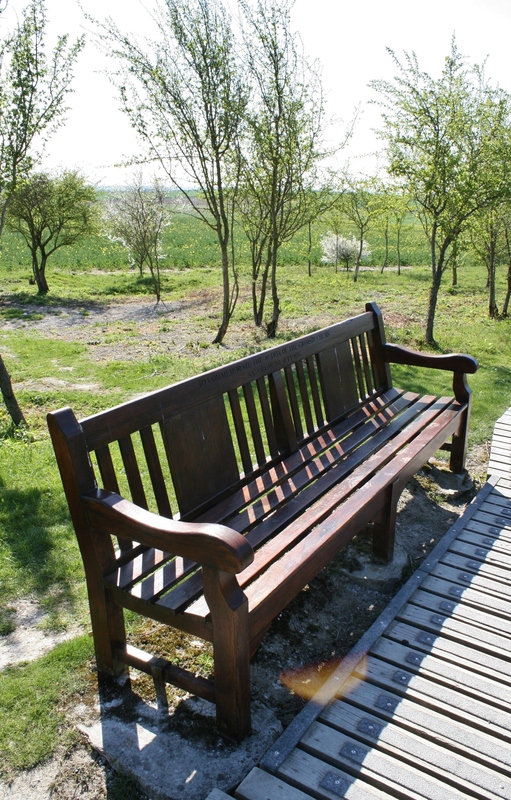 Away to the north east you can just see a British Cemetery to the left of the tree. 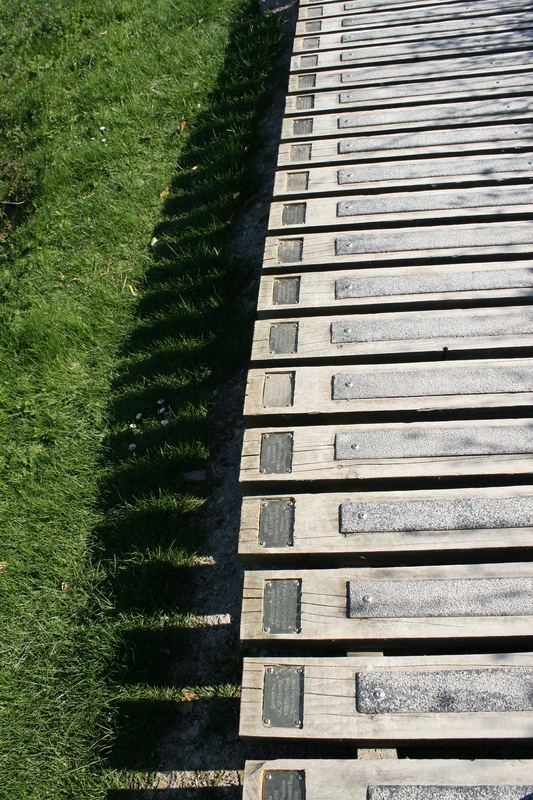 … and there are now 1676 men buried or commemorated here. Begun a week after La Boisselle was finally captured on 4th July 1916, the cemetery was used until September, by which time it contained 95, mainly Australian, burials. 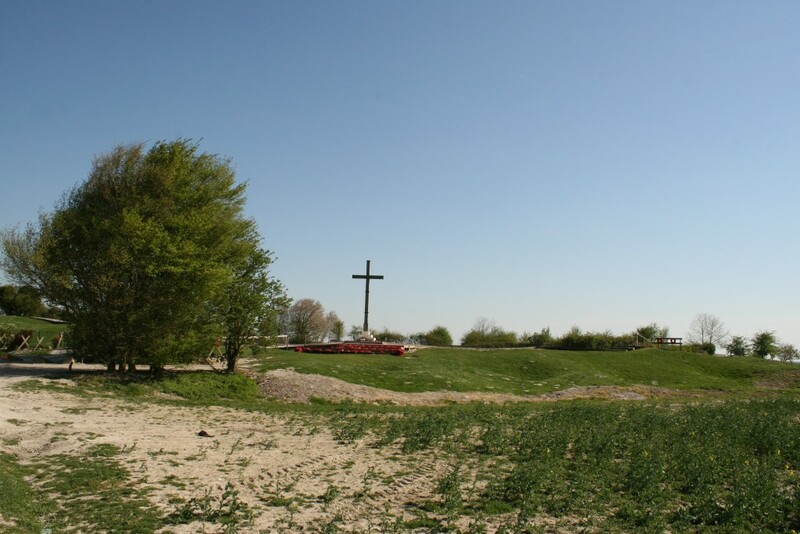 After the war it was greatly increased in size as men originally buried on the surrounding battlefield were brought here but, as is so often the case, many of these men could not be identified. 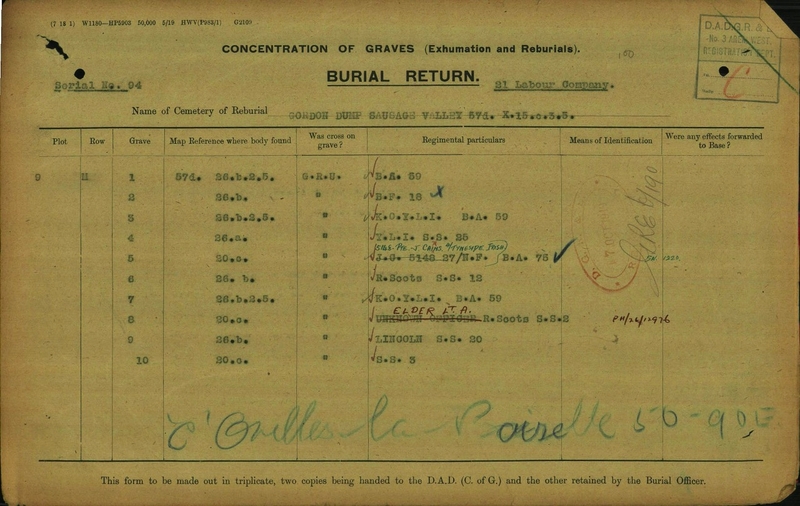 Now over 1000 of the burials at Gordon Dump are sadly unidentified. 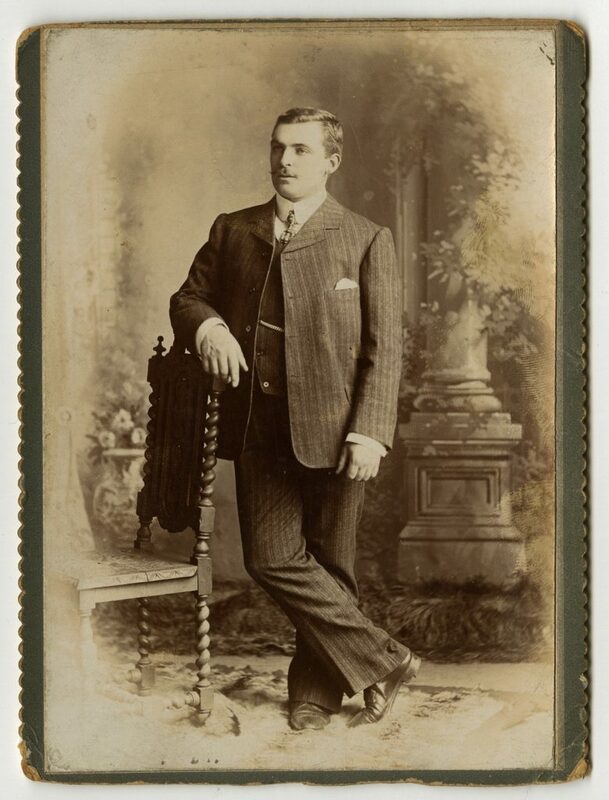 This is John Cairns, man-about-town. 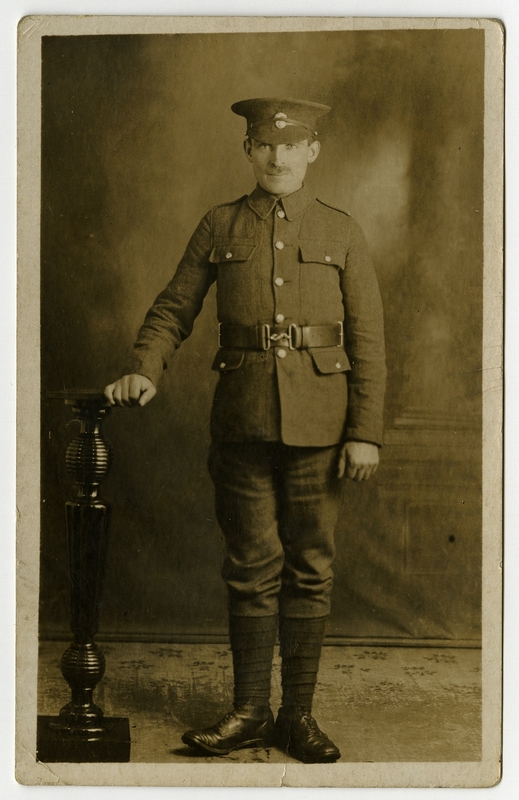 And this is John Cairns, Private, Northumberland Fusiliers. 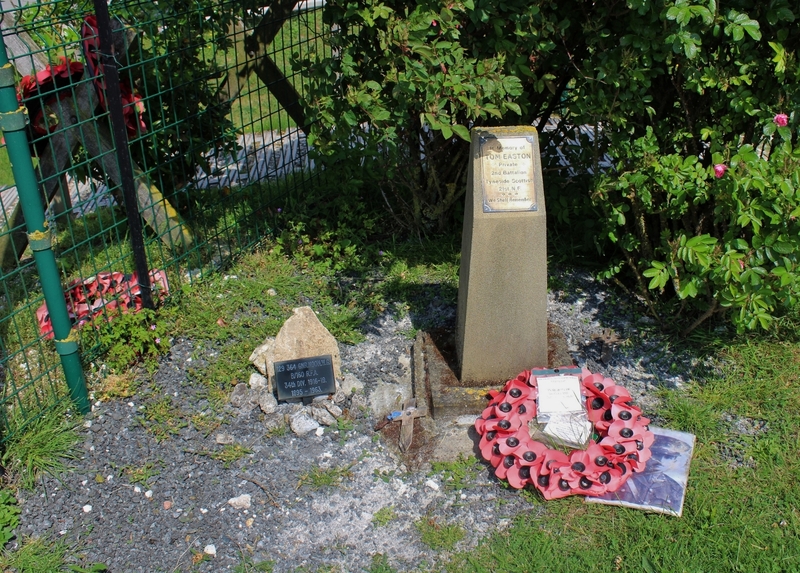 John Cairns was one of the many men of the Tyneside Irish who fell in the fields around the crater and was buried on the battlefield, before later being re-interred in Gordon Dump Cemetery. And this is his Great Grandson Duncan, good mate of mine and ultimate authority on the Royal Marines in the late-eighteenth century (I kid you not), whom regular readers will have met before on some of our visits to Surrey cemeteries, and who kindly allowed me to publish the above photos of John. 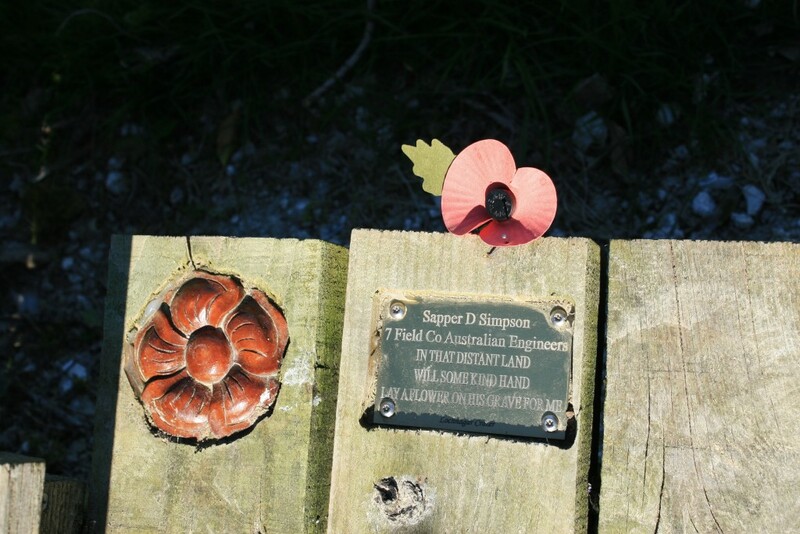 Believe it or not, Duncan mentioned to me only last week that he had a Great Grandfather who was killed on 1st July 1916 and buried in Gordon Dump Cemetery. To which I replied how curious, as I had been writing about Gordon Dump Cemetery only the previous evening. Don’t you just love coincidences? The 34th Division, consisting of the Tyneside Scotttish, Tyneside Irish, Lincolnshires, Suffolks & the Royal Scots, suffered 6,380 casualties on 1st July 1916, more than any other British division. 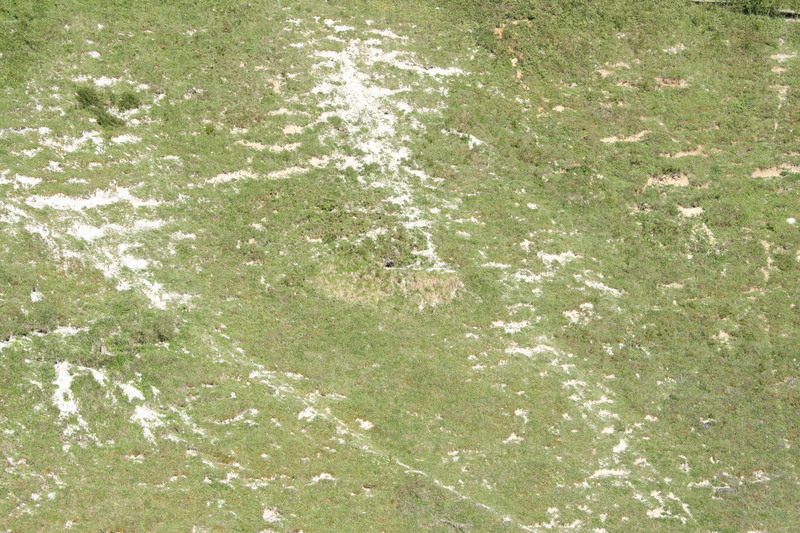 Hundreds of these would have died on the slopes beyond the Cross in the above photograph, Tara Hill on the left, the southern slopes of Usna Hill beyond the Albert-Bapaume road on the right. Men of the 4th Tyneside Irish, including John Cairns (you decide!) pose for a delightfully informal group photograph before their departure to France. There are hands on shoulders, arms around colleagues, jauntily angled caps and the occasional smile. You cannot help but wonder how many of these men would survive their encounter with the German machine gunners in the fields around La Boisselle some six months on. Sadly, you have to assume that the answer is very few. 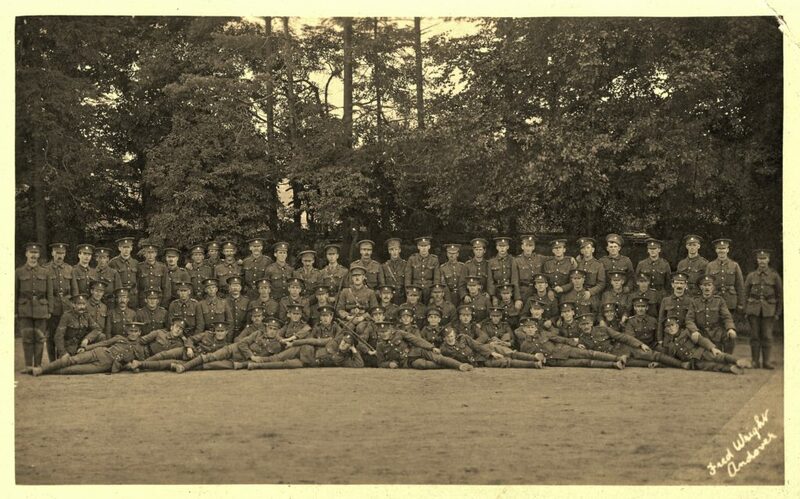 During the Great War the Northumberland Fusiliers raised 52 battalions in total, of which 29 served abroad. 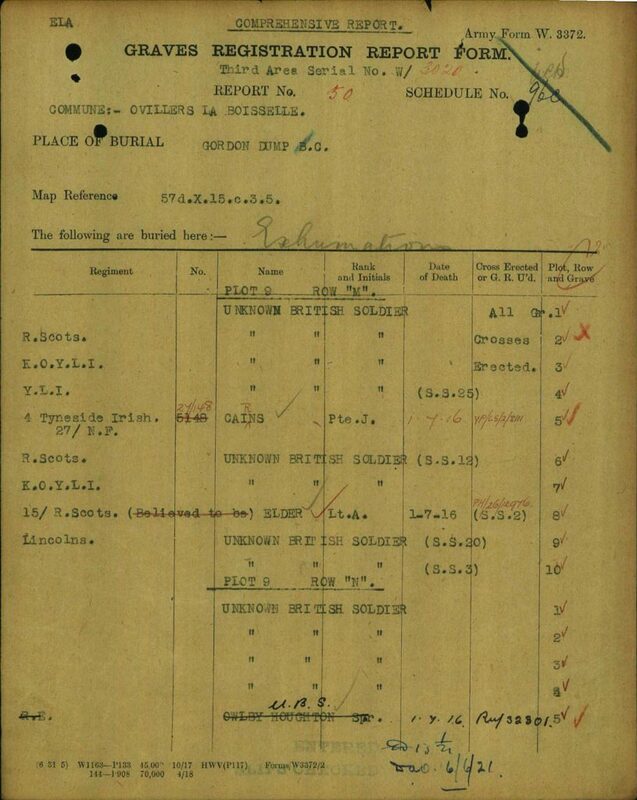 Four of these, the 24th, 25th, 26th, & 27th, were designated 1st, 2nd, 3rd & 4th Tyneside Irish, and it is worth noting that, although all four Battalions arrived in France in January 1915, none saw action until 1st July 1916. 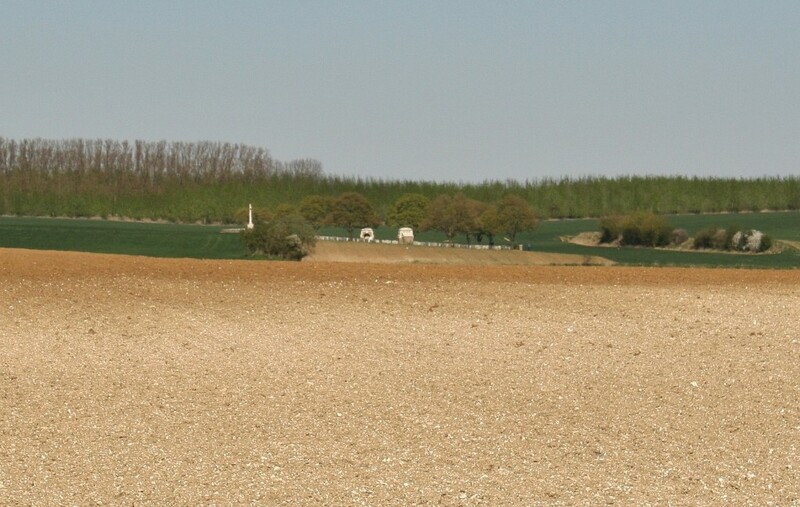 For so many of these men, their first day of fighting would be their last. We must take our leave. 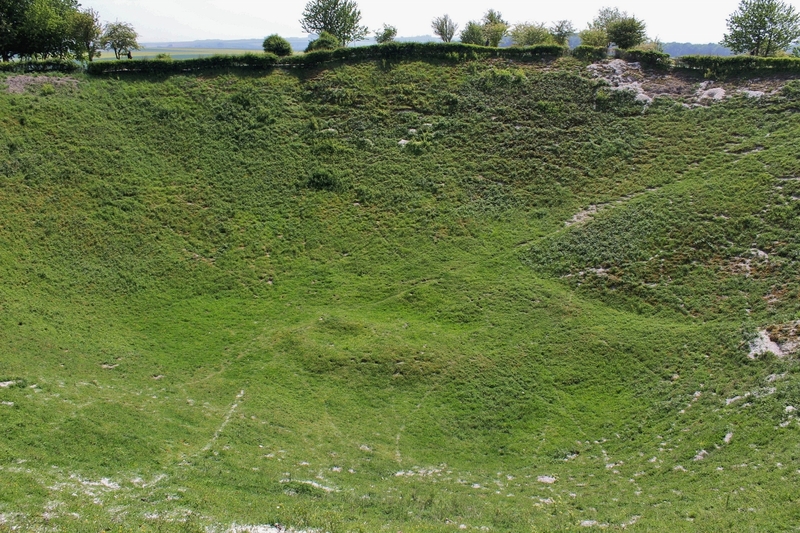 Lochnagar is an awe-inspiring place, and it’s easy to get drawn to the crater itself at the expense of all else. 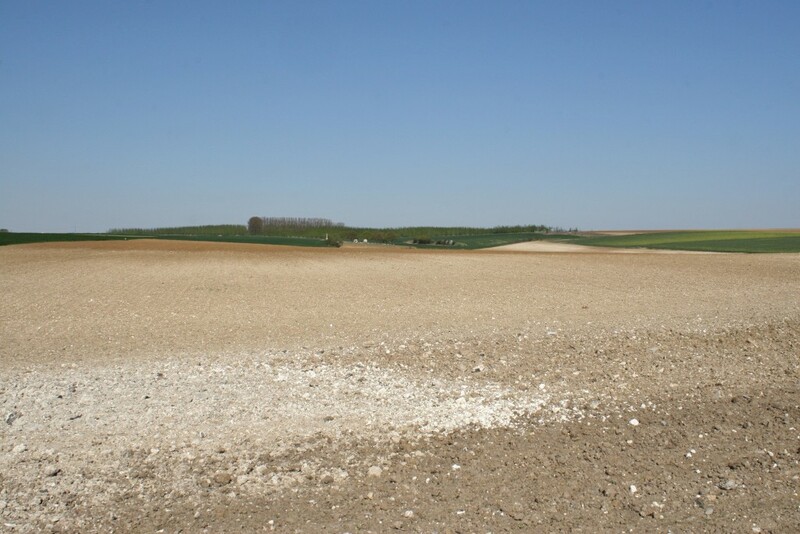 But if you ever do visit, don’t forget to look around you, at the Tara-Usna ridge away to the west, La Boisselle itself a short distance north, and Sausage Valley off to the east, and remember the men who fell in the fields around here on that terrible July morning nearly one hundred years ago. 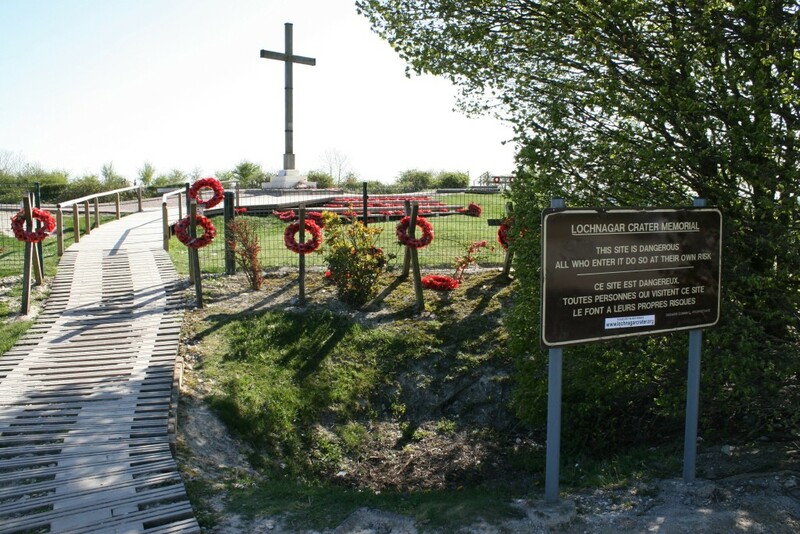 And so we head back to La Boisselle. Where I’ll leave you with an interesting fact. The signpost, you’ll notice, points left, to Albert, and right, to Contalmaison. 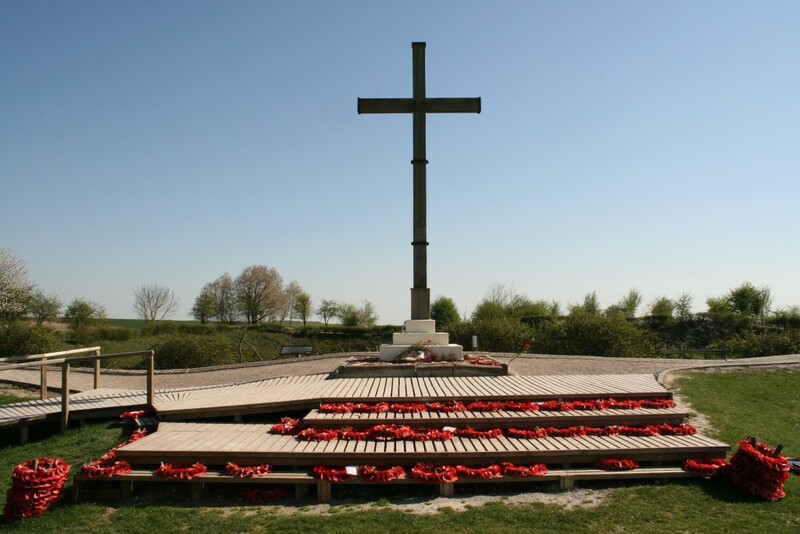 Somehow, despite all we have seen and read about over the last few Somme posts, it has been subsequently proven that on 1st July, some men of the Tyneside Irish managed to navigate the length of Sausage Valley, cross the German second line trenches, and reach the outskirts of Contalmaison, about a mile away to the east. Sadly, we shall never find out exactly how, as none lived to tell the tale. Next: A short road trip. 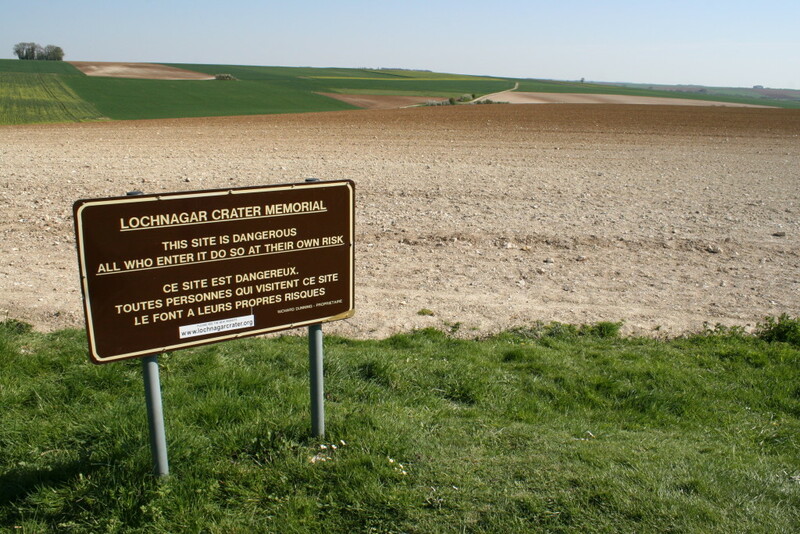 Another great installment – eerie how the fields are colored by the debris of those immense charges. Thanks Andrew. Yes, it certainly is. After all this time! Thank you for this incredible story, MJS. Unbelievably impressive – like a meteor crater. 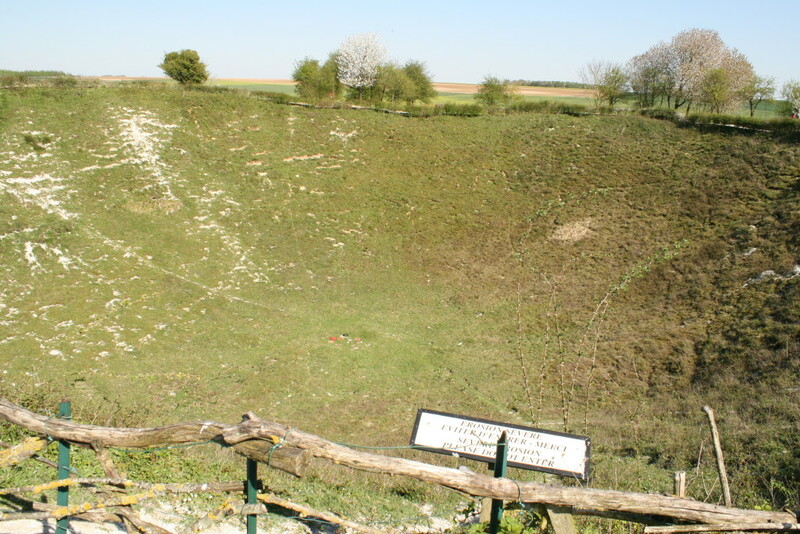 It is difficult to understand how the tunnelers could withstand the claustrophobic conditions and at 18” per day then the scary process of laying the explosives! Certainly puts paid to my blowing out tree stumps using gelignite and Nitropril with several charges joined by explosive cord for simultaneous explosion – and I thought my (by comparison tiny) craters were impressive! 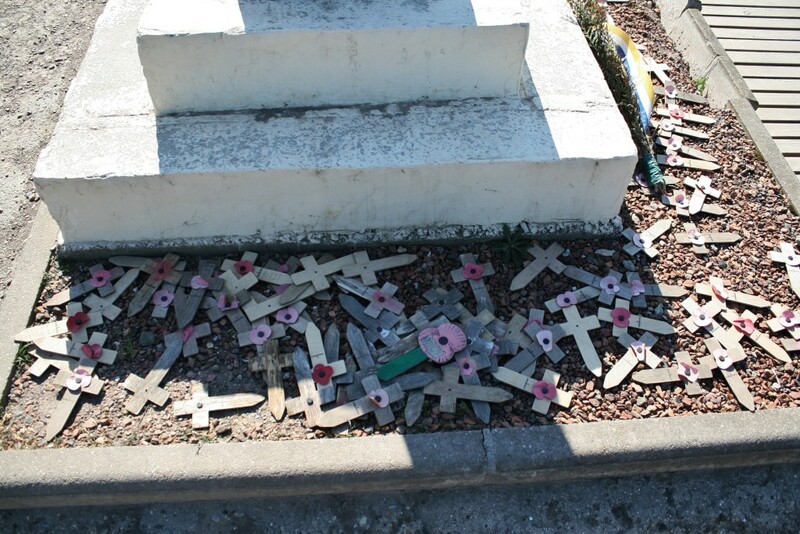 It does however emphasise the barbarity of WW1. In Australia on Monday 25th April 2016 we celebrate the ANZAC Centenary. I’ve just been reading some reports – Fromelles July 1916 with 5533 ANZAC casualties (2000 KIA) in one night. The pity of it was, as so aptly described by Big-Gen. H.E. Elliot: “All my best officers, the men who helped build up my brigade, are dead. I presume there was some plan at the back of the attack BUT IT IS DIFFICULT TO UNDERSTAND WHAT IT WAS”. Words cannot describe the contempt felt for those so-called planners sitting safely back in Blighty. I know much has been already written about them. 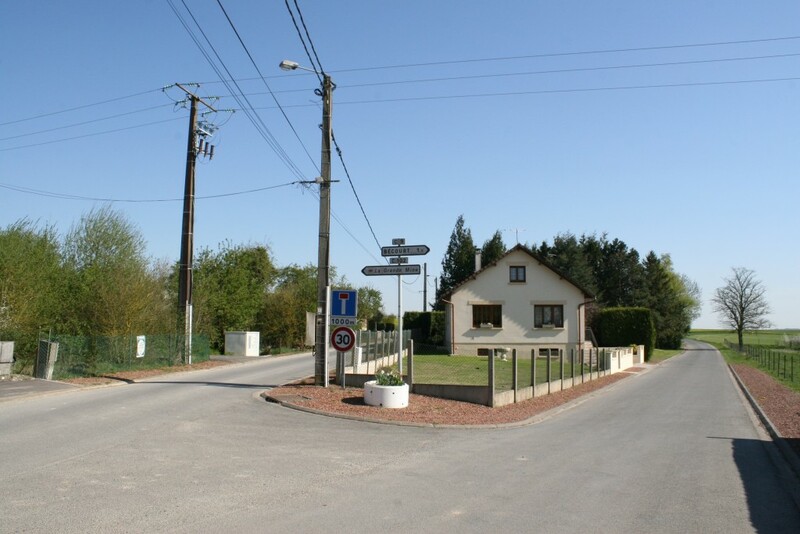 Fromelles soon followed by Poziers. 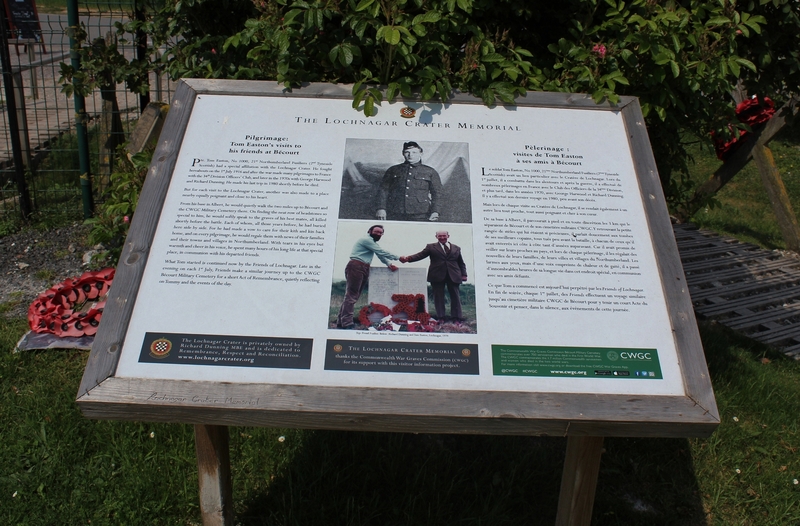 On August 4th, Lt John Raws of the 23rd Battalion wrote: “We are lousy, stinking, ragged, unshaven and sleepless …. 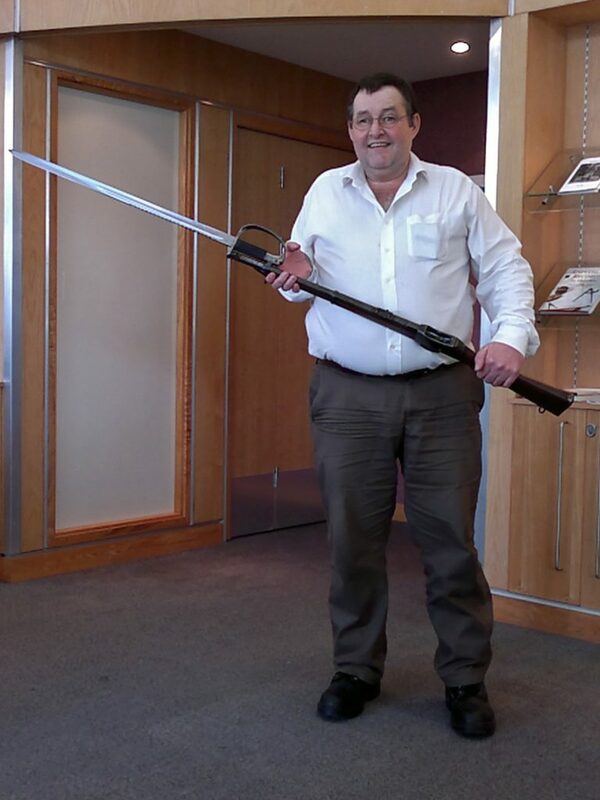 I have one puttee, a dead man’s helmet, another dead man’s gas protector, a dead man’s bayonet. My tunic is rotten with other men’s blood and partly splattered with a comrade’s brains …” and so his horrendous description goes on. 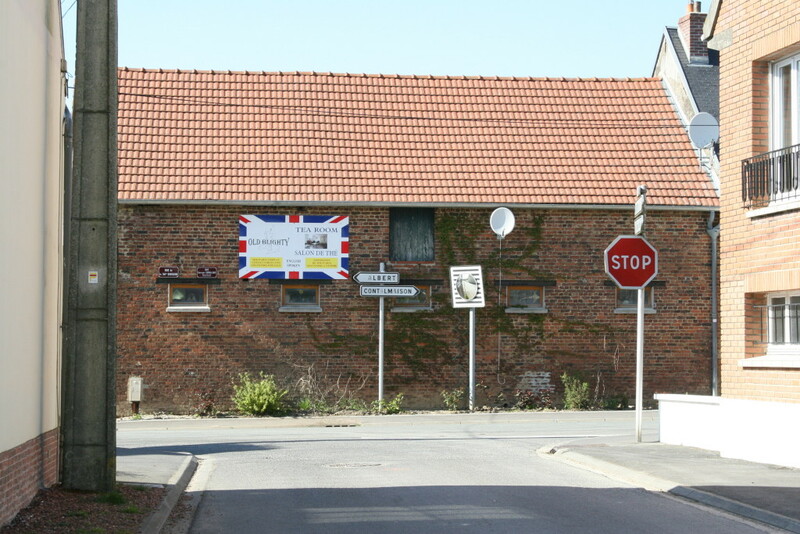 Then there was Mouquet Farm similarly beyond belief. No wonder so many brave men succumbed to mental disturbances. All this and more is why we must forever remain eternally grateful. Lest We Forget. Hello Sid. 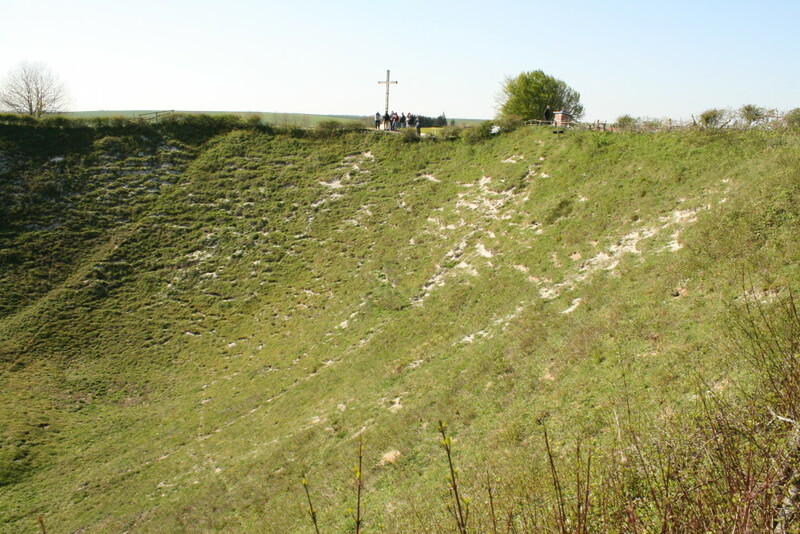 It is an amazing place, awe-inspiring and terrifying. People don’t believe me when I tell them that the tunnel was extended at a mere eighteen inches a day, but everything I have researched corroborates this. I can imagine you blowing up trees! Lol! 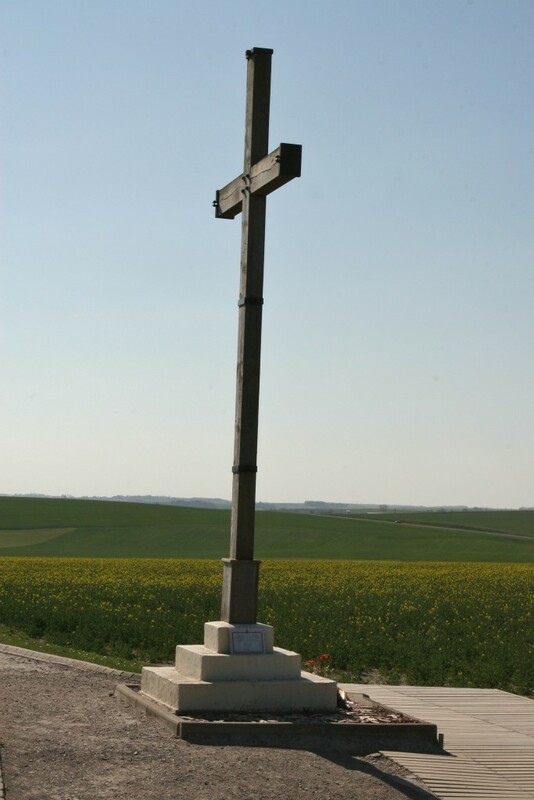 By the way, and I may have mentioned this before, Baldrick and I visited all the cemeteries around Fromelles not so long ago, so watch this space. 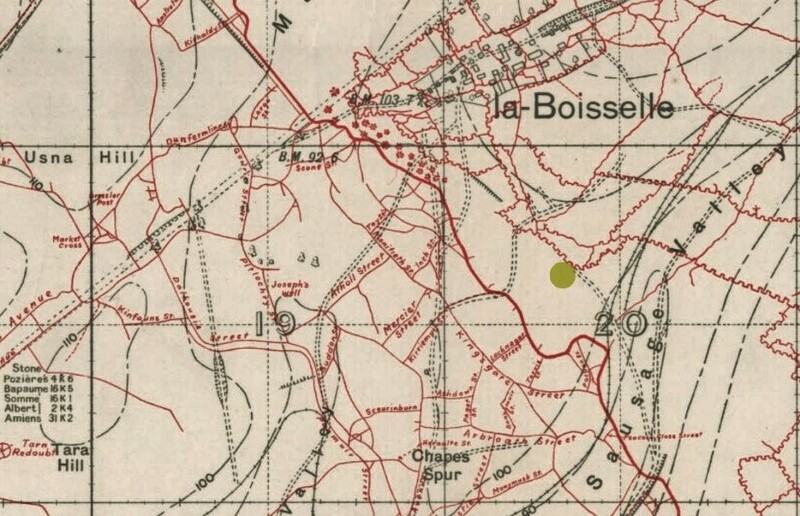 And Pozieres is coming up very soon. Have a good ANZAC Day. Was in Gordon Dump on Monday. Hope you had decent weather Joe. As you will have gathered, I didn’t get the chance to go in to the cemetery. Hope you had an excellent trip. Very jealous, but will be over in France myself in a few weeks.